Great food. Excellent local wine. Even legal moonshine. It's all part of eastern Prince Edward Island, an area of Canada that's quickly developing a reputation as a gourmet hot spot. Chef Michael Smith, owner of The Inn of Bay Fortune and the popular TV host of several Food Network hit shows, thinks this region is becoming a key destination for outstanding cuisine. Seeking to confirm this reputation we spent three delightful days following the picturesque Points East Coastal Drive from Charlottetown to Georgetown and around to Bay Fortune and St. Peters. It's a route worth following not only for the outstanding scenery (the jagged coastline provides amazing vistas of high sandstone cliffs, historic lighthouses, peaceful harbours and several dozen secluded and uncrowded beaches) but for the number of high quality restaurants and top chefs now established in this peaceful terrain. 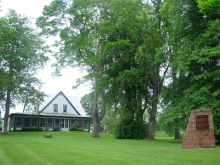 Leaving Charlottetown, it's just a pleasant thirty kilometre drive to Orwell and the Sir Andrew Macphail Homestead, a charming 1850s gable house. Sir Andrew who was the first professor of the History of Medicine at McGill University and a champion of PEI agriculture has been designated a National Historic Person. The foundation that runs this museum seeks produce from local farmers and uses it in the delightful Edwardian veranda tea room. 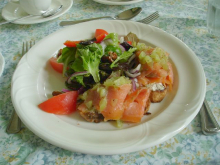 We enjoyed a delicious lunch of Island smoked salmon on homemade bannock bread with fennel cream cheese and red onion covered with diced grape, all served on Royal Doulton china. We also enjoyed their soup of the day (roasted vegetable) and an Island cheese plate featuring award-winning Avonlea cheddar, black pepper Gouda and cream cheese served with grapes, nuts and robust island honey. It was a perfect start to our gourmet tour. Our next stop was Georgetown, a deep harbour port at the eastern tip of an eight kilometre long peninsula and a major wooden shipbuilding centre in the Victorian era. Now the village of fewer than 800 residents keeps that Victorian charm while offering visitors no fewer than three outstanding place to dine. Just before entering Georgetown, there's a well-marked turnoff for the Rodd Brudenell River Resort. 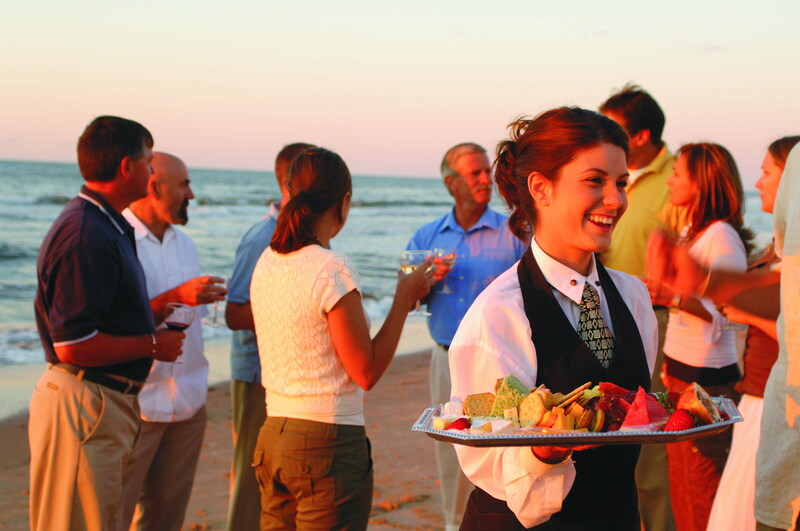 In addition to its championship 18 hole golf course (a favourite of Islanders and visitors alike) the resort offers two very fine eating establishments. The more informal Club 19 Fun, Food, and Drink is a pub-style restaurant and bar with food and ambience well above normal clubhouse fare. Next door at Gordon on the River Dining Room, the main resort restaurant, there's an extensive menu of local specialties including corn husk salmon (seasoned salmon fillet baked in a corn husk with maple corn pepper relish) and pan seared halibut steak, blackened with spices and served with bright mango chutney, vanilla bean basmati rice and broccoli. A vibrant restaurant in Georgetown, directly on the waterfront with its own veranda, is Clam Diggers. During our visit we spoke with their imaginative young chef, Adam Loo, a recent graduate of the PEI Culinary Institute in Charlottetown. He told us his goal is to be the best. "We wanted to specialize in products that aren't too common - snow crabs and clams. Everything has to be fresh, local where possible and prepared the best way we know how." 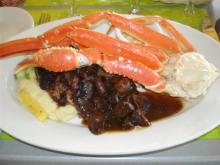 When we were there the large, simply decorated dining room was full of locals and tourists enjoying steaks, lobsters, salmon, halibut and plates of enormous snow crab legs. Sweet and tender Maritime snow crab is, in our opinion, just as good as lobster and the Clam Digger does the delicacy really well, either on its own or with a small steak, Surf 'n Turf style. The Clam Diggers owner, Don Taylor, says he knows the restaurant is off the beaten path but he's convinced its reputation for quality will pay dividends. "We buy whole fish directly from the fishermen and cut it ourselves," he said. "If you go out of your way to find us, we want to make sure you're not just happy with your meal, but delighted." One delighted patron was Kent Kennedy of Calgary who came to Brudenell with his wife for golf but was directed to the Clam Digger by a local shopkeeper. "This is fantastic," he told us as he devoured a plate of crab legs and steak. "I've had crab elsewhere but it wasn't as good as this. 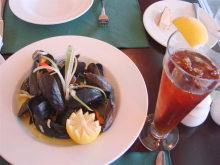 This is one of the best restaurants we've ever experienced in the Maritimes." Just down the road and around the corner is another restaurant Edens Gate. Eden's gate specializes in home cooking and they do it well! It's just like Mom used to make and if you want an event catered, they are the place to call. Their rates are very reasonable and the staff is delightful. Three Rivers Dining at Georgetown Historic Inn, in the centre of town, is a real historical landmark and belongs to Aubrey and Rhonda Brown. Our dinner at the Georgetown Inn was definitely innovative and flavourful. We chose the chef's "Trust Me" tasting menu, a selection of smaller portions from the menu plus some special surprises. Included were appetizers of lobster risotto balls (a favourite of Georgetown residents), samurai scallops with white and black sesame seeds in ponzu sauce, deep fried Island oysters in a tempura batter with drops of soy sauce and a duet of lobster perogy and beef short rib ravioli. These wonderful dishes were followed by portions of Island pork and champagne poached salmon. Another Georgetown Inn diner was Elizabeth Ellis of Toronto. She's been coming to this end of the island for close to 20 years and said she starts relaxing as soon as she gets off the plane in Charlottetown and heads east. 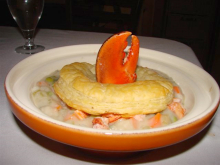 She chose Chef Short's signature Lobster Pot Pie, a sensual and visual delight with a scarlet lobster claw poking through the top of the crust. "Amazing," she called it. En route to Georgetown and other communities farther up the Points East Coastal Drive many visitors stop in Montague, the largest town in Kings County. For lunch many locals recommend Windows on the Water a converted large house and deck with, as the name implies, a stunning view of the Montague Marina and its long river reaching towards the sea. The food is special too. We shared a tasty salad of fresh greens, mandarin orange and candied pecans topped with grilled chicken as well as delicately seasoned fish cakes that were perfectly done and as delicious as any we've ever enjoyed. We were anxious to get to Bay Fortune and the cuisine at its namesake Inn. However we also wanted to visit Rollo Bay near Souris, the site of the Island's first legal distillery. Illegal moonshine is a tradition on Prince Edward Island (related, perhaps, to the fact that prohibition lasted longer here than in any other province), often the drink of choice at social gatherings and weddings. 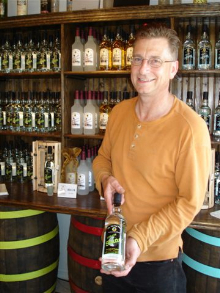 When physician Paul Berrow and his wife Angie moved to the Souris area six years ago he innocently asked why, if everybody drank moonshine, wasn't it available at the government liquor store? After the laughter died down, Dr. Berrow decided the time was right to open his own still, but to do it legally. Following many legal adventures with politicians and government bureaucrats, the Myriad View Artisan Distillery opened for business in 2007 with a huge, state of the art copper still imported from Germany. It was an instant success, handling 20,000 bottles a year of rum, gin, vodka and two types of "Shine" (a term Dr. Berrow is planning to trademark) - regular strength and a powerful 150 proof version called "Strait Lightning". Wooden barrels of whiskey and brandy are currently being aged alongside the still. Although the traditional spirits get good reviews (Chef Michael Smith has told Dr. Berrow that Myriad View's Strait Gin is the best he's ever tasted.) the "Shine" is the talk of the Island. Apparently moonshine from the west of PEI is made with sugar while eastern Islanders preferred their illegal grog made from molasses. Paul and Angie Berrow compromised and made theirs from a mixture of sugar and molasses. It seems to satisfy all tastes. The Berrow's philosophy is simple. "If we don't like the products ourselves, we don't put them in the bottle," they told us. The still's capacity is 40,000 bottles a year so there's lots of room for growth as plans are underway to export the product beyond PEI. Just 10 kilometres from Rollo Bay, on the northeast coast, two women entrepreneurs are producing another legal distilled product. Prince Edward Vodka is the first in Canada made from potatoes. Julie Shore and Arla Johnson at Prince Edward Distillery also turn out batches of wild blueberry vodka, another first for PEI. The wine and liquor list at The Inn at Bay Fortune, a few minutes drive south of Rollo Bay, is the best on the Island. 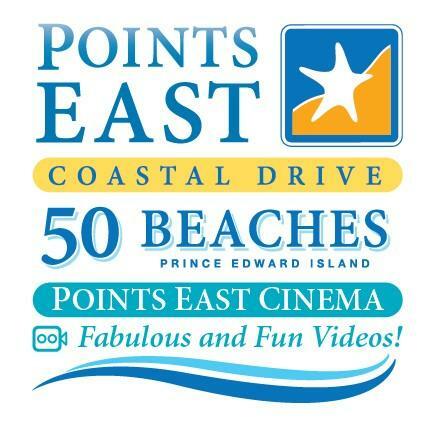 In fact it's the only PEI restaurant to receive the prestigious Wine Spectator Award of Excellence. 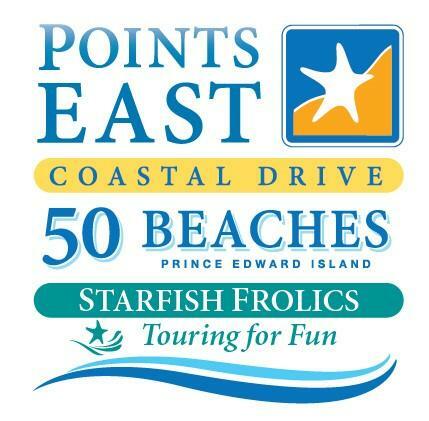 That list includes products from PEI's only winery, Rossignol Estate Wines, located at Little Sands along the southern end of the Points East Coastal Drive. Several of their vintages have received "Best in Canada" awards. But it's the extraordinary food that stands out at The Inn at Bay Fortune. Since Innkeeper David Wilmer bought and renovated the 100-year-old property in 1989, and sold the Inn to Chef Michael Smith in 2015. its reputation for sophisticated cuisine has grown. The current Executive Chef, continues and enhances the tradition of Chef Michael Smith who worked here from 1992 to 1999 and started his first TV series in the Bay Fortune kitchen. 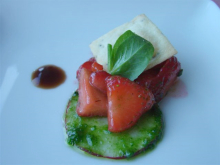 After our taste buds were excited by the chef's amuse-bouche (made from strawberries and radish) we chose a salad of "Rare Earth" potato and Fortune Harbour lobster presented in a light sorrel froth. This was followed by an unusual cannelloni made from thin layers of swordfish wrapped around marinated julienne vegetables. Both were inventive and tasty. One of our main courses was a generous, perfectly cooked portion of Maritime halibut with a pulled pork pogo set on a nectarine gel with fennel, local organic mushrooms and sweet corn. 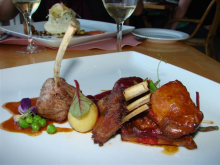 The other was mouth-watering Dundas Dorset lamb (raised on a Heritage farm 10 minutes away) prepared four different ways - cutlet, tender navarin, homemade meatball and succulent lamb ribs. Both entrees were among the best meals we've ever eaten and would rate four stars at any of the best restaurants in North America. The final stop on our gourmet adventure in eastern PEI was at The Inn at St. Peter's, located on an idyllic 13 acre waterfront setting at the head of the 10 kilometre long St. Peters Bay. 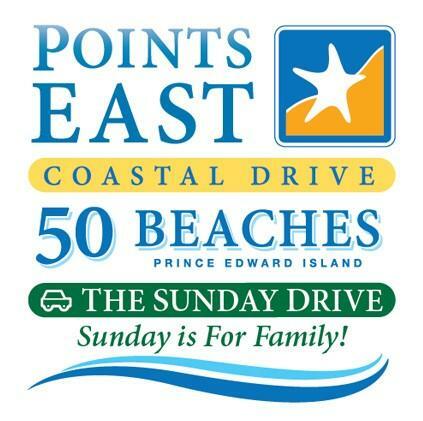 Before we went for their Sunday Brunch we knew we needed exercise so we drove along the bay to Greenwich and the newest section of P.E.I. 's famed National Park. Opened 10 years ago, the Park has an excellent interpretative centre and a 4.5 kilometre hiking trail that takes visitors through abandoned farmland, by exotic plants and across Bowley Pond (using a clever floating walkway) to an extraordinary beach and the highest, most dramatic sand dunes on the Island. A special viewing area showcases a pair of rare, giant parabolic dunes that actually move as the wind sweeps around them. 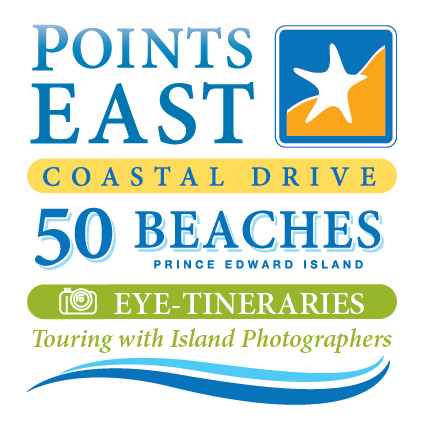 It's a worthwhile hike to a very special part of PEI. Back at the Inn at St. Peters, we were understandably hungry and savoured our first course, a generous bowl of sweet St. Peters Bay mussels steamed in white wine butter and rosemary, finished with cream. Obviously very fresh, they were harvested just metres away in St. Peters Bay. We also ordered the Inn's Fisherman's Lunch featuring solomon gundy, locally smoked oysters and salmon with lemon and a toasted cream cheese bagel served with home made pickles. Like other chefs at PEI's best restaurants, the husband and wife team of John Haines and Tracy Wallace emphasize local and organic products and put a strong value on nutritional cooking. As we reluctantly headed to Wood Islands and the ferry back to Nova Scotia, we remembered Kent Kennedy of Calgary and his enjoyment of the meal at Clam Diggers in Georgetown. "The food at this end of the Island is just fabulous," he told us. "It's a wonderful place to take a holiday." John and Sandra Nowlan are freelance food and travel writers based in Halifax. Their articles on international cuisine have been featured in The Boston Globe, Toronto Star, Calgary Herald and many other newspapers and magazines. Sandra is also the author of a new anti-hypertension cookbook, "Delicious DASH Flavours", available across Canada.